Read our Big Agnes Copper Spur UL2 tent review & learn why this is one of the most perfect, 2 person backpacking tents ever made. Everything you need in a tent like this is present and accounted for: portability, protection, interior acreage, ease of use, and more. Big Agnes is a brand name that is becoming synonymous with perfect camping gear. Their tents are among the best in the industry, including this fantastic Cupper Spur shelter. Big Agnes is finding a whole lot of luck in their UL (Ultra Light) series. The 3-person is one of the best of its kind on the shelves today, the 1-person is roomy enough for your gear to sleep with you, and a new 4-person model breaks the rules when it comes to the standard ratio of campers to camping tent ounces. This is a series of tents that demands attention and respect. However, it is with its with the Copper Spur UL2 that the collection really rises above to reign over its competitors. We dare you to give the CS-UL2 a try and not immediately fall head over heels in love with it. Vestibule Area-- 9 sq ft. and 9 sq ft.
With lightweight DAC Featherlite aluminum poles, a simple design, and minimalist construction, this is one of the most portable 2-person tents in the business. You can comfortably take this with you wherever you go without ever having to sacrifice ounces or inches from your pack. One of the biggest downsides to Big Agnes tents is their sky-high price tags. Fortunately, this Copper Spur tent is pretty reasonable. It used to be $400, but has since dropped to only $300. It's still a hefty price, but much more accessible than it used to be. The drawback to picking out a super lightweight backpacking tent is that it's too compact to be super tough. Sure, the CS-UL2 has got some really great oomph behind it, but it won't protect you the way a 10-pound shelter will. That's just the way it is. Entering and exiting the tent can also be troublesome when the bugs are out and about. With such a simple design and construction, it's almost impossible to get in or out of the Copper Spur UL2 without letting a few mosquitoes, no see ums, or flies into the interior. Take a look at what other consumers have said about this Copper Spur model's design and performance in the real world. The advantages are epic and the drawbacks are miniscule. This may not be the absolute best 2-person tent in the world, but it's certainly got our vote for the top five. It's a bit pricier than much of the competition, but every single penny is worth it. This is recommended for backpacking enthusiasts everywhere. 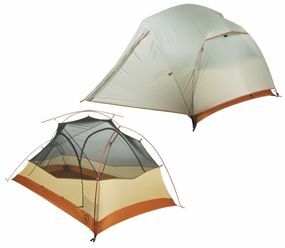 Have you used the Big Agnes Copper Spur UL2 Tent? 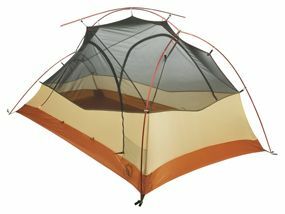 Share your Big Agnes Copper Spur UL2 Tent reviews and let us know how it worked for you!